We were told that on the night of fourth day of the first month of Chinese Lunar New Year there will be more fireworks and firecrackers lit up all over China especially close to midnight since every household is celebrating the birthday of The God of Wealth. Sure enough, it was loud and festive all night long, the sky was lit up with endless fireworks from every directions, my husband and I were watching through our windows in awe, it’s a beautiful sight indeed. The God of Wealth is a Chinese deity who can bless one with luck, wealth and economic opportunities. Although worshipped throughout the year, he is especially popular during the Spring Festival when the community welcomes a new year and mark the start of a new social calendar. 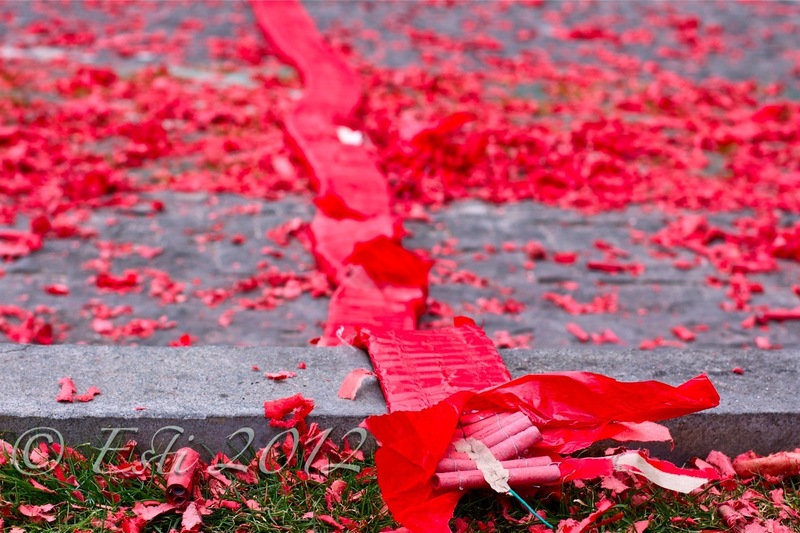 On the morning of the fifth day, firecrackers are exploded as a sign of welcoming the God of Wealth. My daughter and I went to the Lobby ground to witness the ceremony, it was LOUD and festive. Also I noticed that the temperature has change slightly this morning, its crisp and fresh with a hint of spring, lovely. Happy to read something about you. 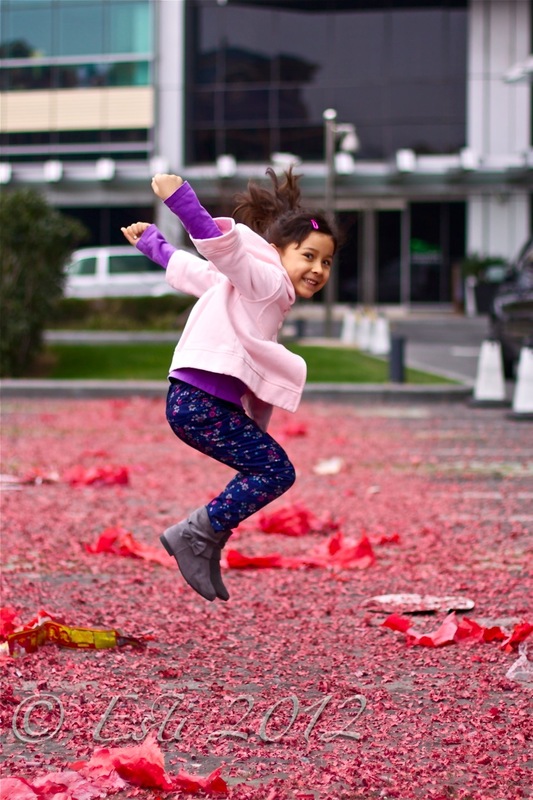 Though not as festive and glorious as it is in China, the 2012 Imlek new year celebration in Bali was as marked and colorful as ever. Not much display of fireworks in the sky, anyway, but there were quite noticeable festive activities on certain places in particularly in Singaraja and Denpasar. 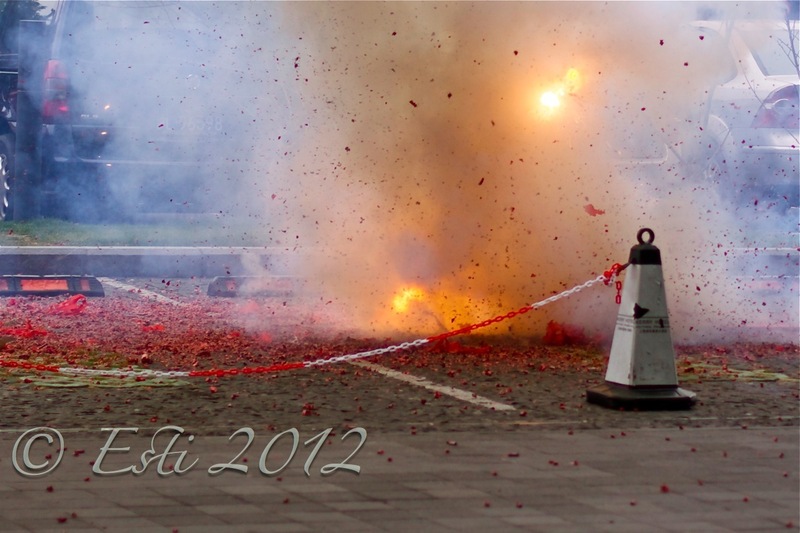 It is the weather, however, that the non-Chinese people in Bali remember most about Imlek new year. For them Imlek means gusty wind and rain storm. Yes we had that for a few days, which caused a lot of destruction as trees fell down and crushed buildings, cars, and even people. There were casualties reported by the news. The rain storm has stopped but people are still traumatic about it. Hoping that everything is fine with you in Syanghai. I read about the previous rainstorms that affecting Java & Bali, I’m glad that you and the family are safe and sound. We are settling in nicely by now in Shanghai, our shipment has not arrived yet from Bangkok so I’m taking it easy, not in baking frenzy yet. Please give Ibu my big hug, I miss you both so much! Love, Dedek.